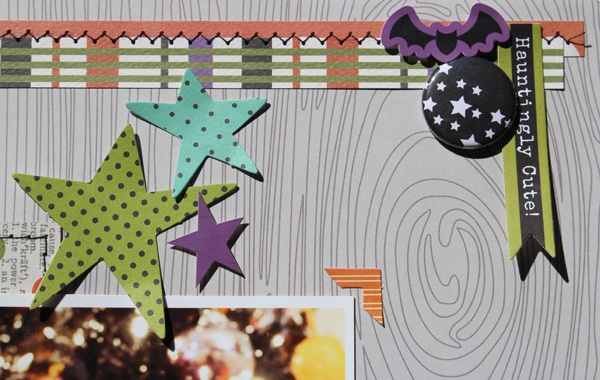 I know I shared a peek at the Thriller kit from Scraptastic Club, but look a little closer. Click here to see the Thriller kit, Add on kit, Thriller Digital Print and Cut Files, and Thriller Stamp set. 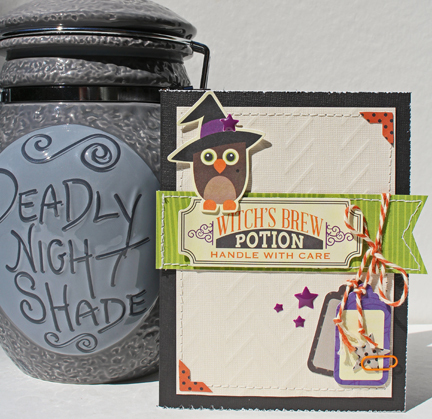 Now I have to share a couple of layouts and a card that I created using these goodies! If you are like me, you looked at the kits and thought they would be great for trick or treaters photos.... but I don't have any cute little trick or treaters. I chose it because I do take photos on and around halloween of my grown up guys, my decor, and the treats we have during the halloween. 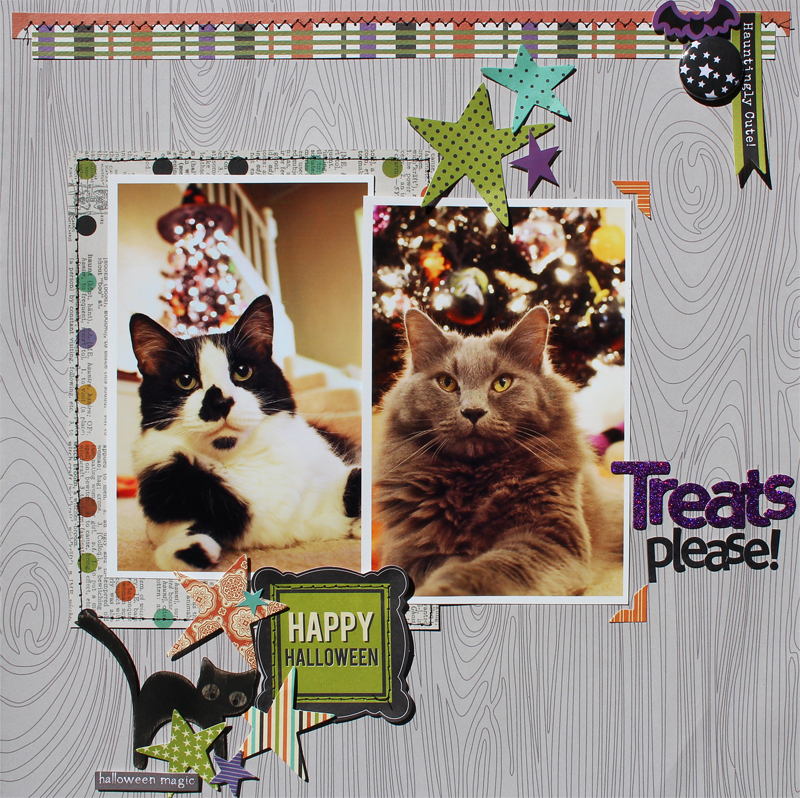 For my first layout I scrapped two photos of my halloween kitties who are not all that scary IF you give them treats. I love the woodgrain background! I used lots of the die cut stars for this one. Halloween should be sparkly and have lots of color so this kit was perfect for me. Notice the little kitty? he is a wood veneer that I inked solid black and then sanded to reveal the woodgrain and the eyes. So cute. 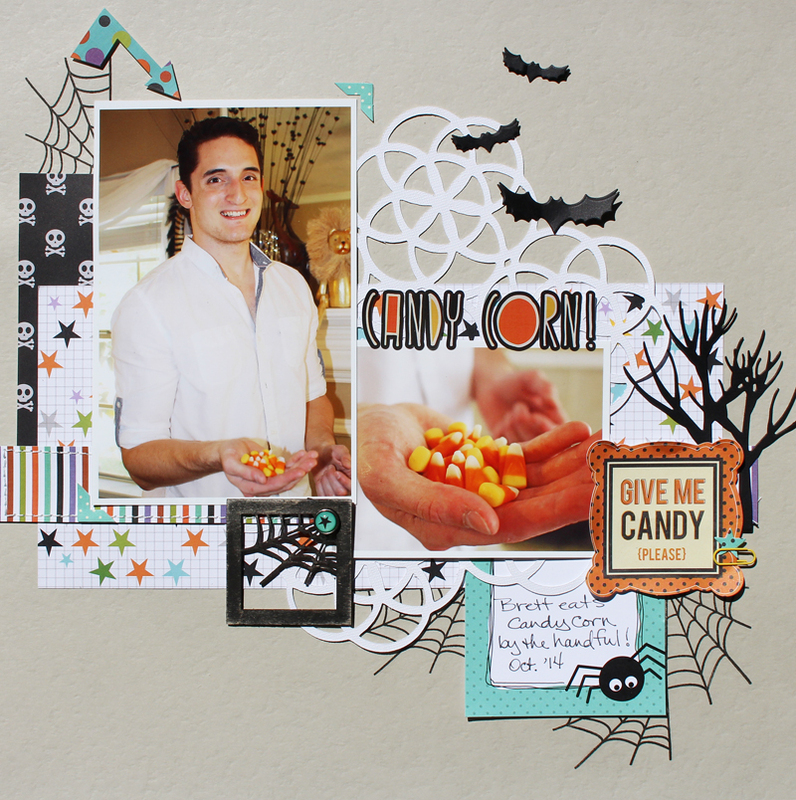 For my second layout, about my son's Candy Corn addiction, I also used the Heart It Races digital Cut file, the tree and bats die by Carta Bella HERE, and I used the web stamp from the Thriller Stamp Set. I layered the bat die cuts so they would have dimension. The square with the web is a wood veneer from the kit that I inked black and then sanded. 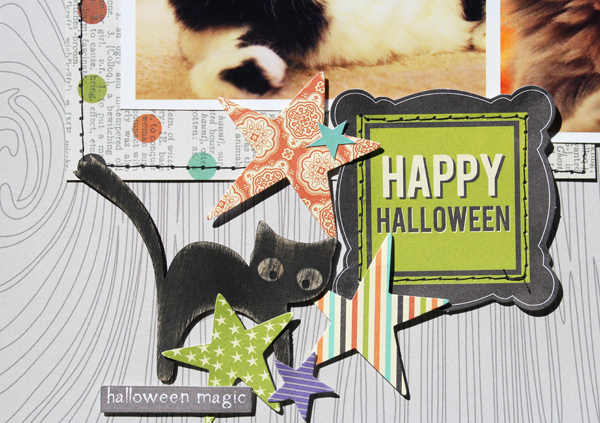 And finally...while I had papers out, I made this cute little card because I really wanted to use that owl die cut! 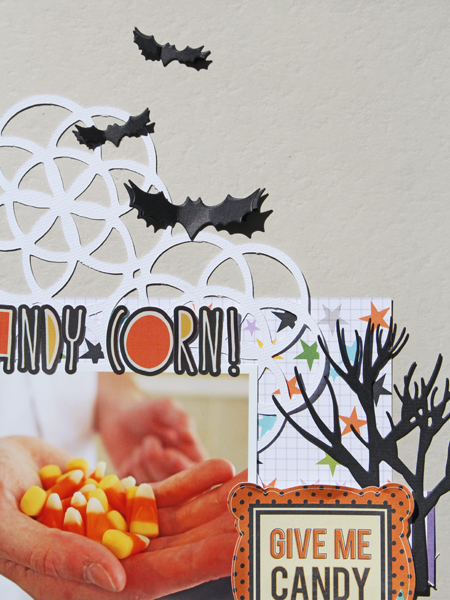 Fabulous job with the Halloween kit! 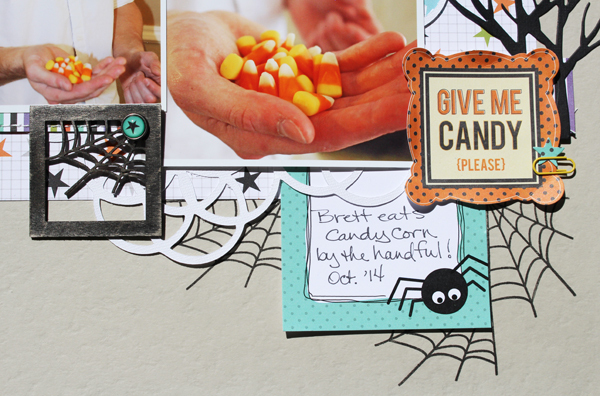 Love the pic of Brett holding the candy corn. !